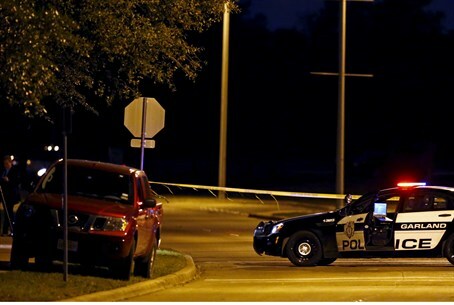 Similar event in Texas last month came under attack by two gunmen. Arizona police stepped up security on Friday near a mosque for a planned outdoor protest by an anti-Islam group that includes drawing cartoons of the Prophet Mohammed, Reuters reported. The protest comes weeks after a similar competition in a suburb of Dallas, Texas came under attack by two gunmen. Friday's event, during evening prayers at the Islamic Community Center of Phoenix, is being organized by a former member of the Marine Reserve who posted photos of himself on Facebook wearing a T-shirt with anti-Islam slogans. Caricatures of the Prophet Mohammed have been a flashpoint for violence in Europe and the United States in recent months as many Muslims believe it is blasphemous to create pictures of him. Officials at the mosque could not be reached for immediate comment, but its website features a series of sermons at Friday prayers there last year by an imam condemning extremist Islamist groups like Islamic State (ISIS), Al-Qaeda and Nigeria's Boko Haram. The Phoenix police department plans to have a presence throughout the neighborhood where the mosque is situated, spokesman Sergeant Trent Crump told Reuters. "Dealing with this type of activity is a challenge that is facing law enforcement across the country," he said. "Dealing with groups of protesters and opposing views is not the difficult part. Our goal and the real challenge are trying to anticipate unlawful activities that might occur in conjunction with these events," added Crump. Earlier this month, two gunmen shot a security guard in the city of Garland before being killed by a police officer outside an event showcasing cartoons of the Prophet Mohammed. One of the two gunmen was later revealed to have tweeted allegiance to ISIS and the jihadist group even claimed responsibility for the shooting. The White House, however, was skeptical about the ISIS claim of responsibility. In January, gunmen killed 12 people at the Paris office of the satirical magazine Charlie Hebdo in anger at the magazine's cartoons featuring the Prophet. The magazine had previously been targeted over its portrayal of the Prophet Mohammed.